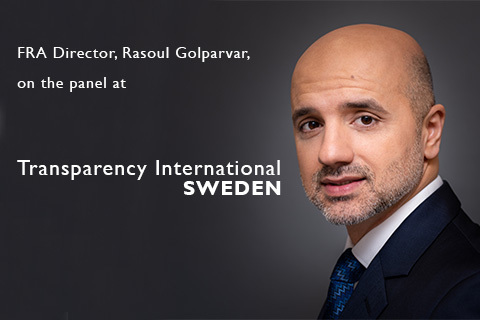 Following the launch of a new Transparency International chapter in Sweden, anti-corruption activists from the Baltic and Nordic region are meeting to discuss clean trade, good corporate governance and European integration at the Transparency International Swedish Chapter event in Stockholm. FRA Data Analytics Director, Rasoul Golparvar, is joining the Digitalization in Compliance panel. He will be discussing how to leverage data and analytics to enhance compliance. Rasoul has over 18 years of experience in the areas of data, analytics and software development and has extensive experience applying data analytic techniques on structured and unstructured datasets to detect, investigate and prevent instances of fraud, corruption, misconduct and other non-compliance issues. Klarity shares some of the experiences from their pilot case in Ghana of using new technology to empower the many to fight everyday corruption. Key insights will be shared on our website after the forum.